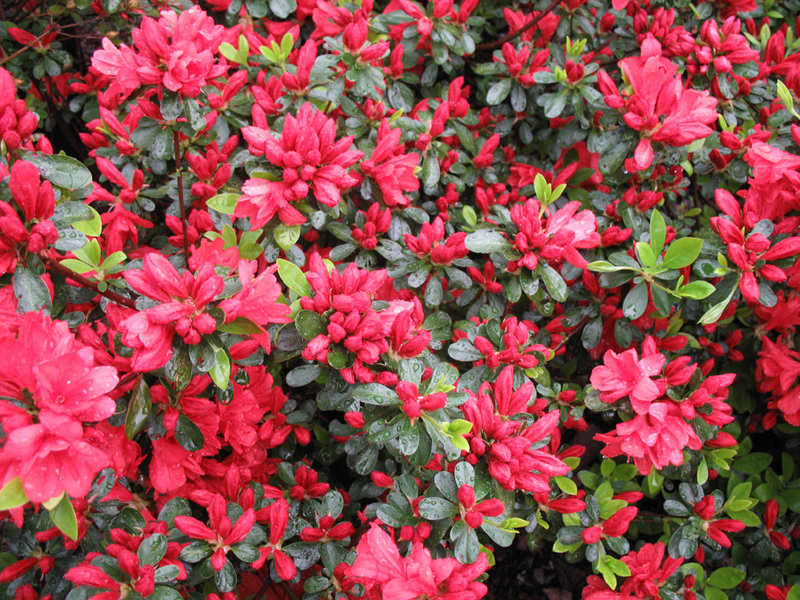 Comments: This azalea produces a low, compact growing shrub with an abundance of two inch orange-red flowers in mid-spring. The foliage is dark green but turns a bronze color during cold winters, especially if growing out in the open. Provide a moist, fertile, well drained soil, preferably in a raised bed. Mulch plants during the summer months.